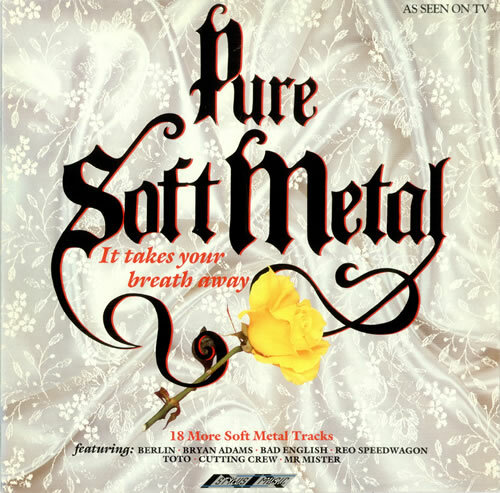 VARIOUS Pure Soft Metal (1989 UK 18-track vinyl compilation LP featuring material from Queen, Bryan Adams, Gary Moore, Reo Speedwagon, Toto, Poison, Meatloaf, Berlin & more, picture sleeve. The sleeve shows just a little light shelfwear & thevinyl remains near 'as new' & looks barely played SMR996). or visit our Various-Rock & Metal image gallery.